In 1879, Margaret Ohler Cremer started a business with the goal of service and satisfaction for her customers. She began by selling fruits, vegetables, and plants to the residents of the Hanover Community. Gradually, though years of satisfying her customers, the business evolved into a landmark florist and greenhouse production. This family-run business through several generations has been proud to serve the Hanover Community. The lives of the people of Hanover have substantially changed since 1879. Many more women and men work outside the home in commercial businesses rather than on family farms. Therefore, our service has continued to grow and change in order to also serve the business community. 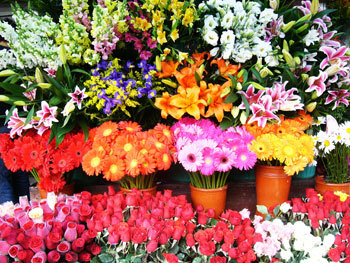 We provide efficient local and worldwide delivery through the Teleflora network for businesses as well as individuals. Although the world continues to change, flowers and plants remain the most appropriate and affordable gift for all occasions. The extra beauty of flowers is that they solve so many of life's little problems. They mend fences; fix broken hearts; start relationships; close business deals; express sympathy and compassion; brighten a dreary day, and make someone realize how special they are. There's no limit to the feeling that flowers can express. Flowers are the ultimate expression of sentiment. In addition to our artistic fresh floral arrangements made to your specifications and a large variety of basket gardens and plants, we offer many other items such as silk and dried arrangements, gourmet and fruit baskets with or without flowers, balloon bouquets, plush animals, and baby gifts. From birth to marriage to death, there is something for everyone, young and elderly, in a wide range of prices. Holiday times are very special here. Our Christmas and Spring Open Houses are a tradition which you will not want to miss. Our 'house' is filled with decorating ideas for your home and gift ideas for your family and friends. Cremer Florist, after more than 133 years, continues to offer many advantages to you: best quality product, efficient worldwide delivery, a wide range of prices, and most importantly 100% guaranteed satisfaction. Please call us anytime at 637-6621 with your question and requests. 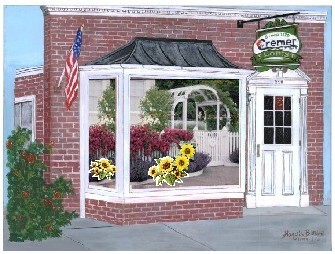 Cremer Florist wants to serve you with distinction.